UK Shelf Sea Biogeochemistry Blog: CO2 Fluxes: Why pelagic WP1 Richard Sims jumps ship to join the benthic WP2 team on DY030? 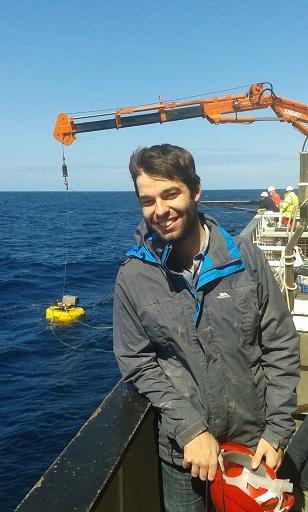 CO2 Fluxes: Why pelagic WP1 Richard Sims jumps ship to join the benthic WP2 team on DY030? 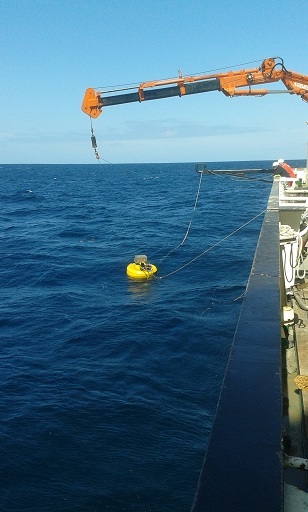 The existence or not of near surface gradients is of importance when attempting to calculate air sea fluxes, as measurements from a research ships underway system at 5-7m depth may not be representative of the oceans interface. Gradients may be created by physical gradients like temperature or chemical gradients induced by biology (plankton). Richard Sims is a PhD student at PML. 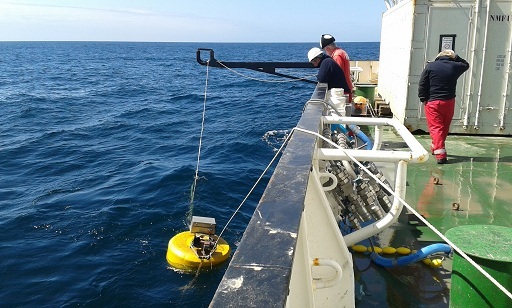 His research is focused on measuring near surface (10m) trace gas gradients in shelf seas. 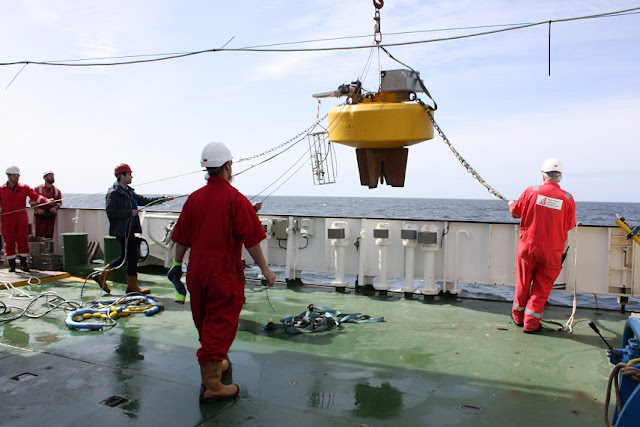 In order to obtain a good vertical resolution for his measurements of temperature, salinity, depth and fluorescence, he developed the Near Surface Ocean Profiler (NSOP), a free floating buoy which rides the swell and floats away from the local disturbances caused by the ship. Water is pumped back to the ship where it is passed through a membrane equilibrator for CO2 analysis. Richard hopes to use his measurements to characterise gradients across the entire shelf.